We serve our community with compassion & respect by celebrating a unique love for beautiful healthy smiles! Northwest Family Dental provides a comfortable, family orientated dental experience to patients of all ages. Dr. Sara L. Evans and experienced staff welcome patients into their Rainier dental home whether they are looking for cosmetic service, preventive care or seeking to make their child familiar with our family dentist once their first tooth erupts. Dr. Evans strives to make all dental visits relaxing and educational so patients are equipped to make sound decisions for improved oral health. Providing affordable dental procedures is important to us. We know there are too many people living with poor dental conditions because they have trepidation about going to the dentist or lack the insurance or finances to have their oral health maintained. For your convenience, Northwest Family Dental will bill your insurance on your behalf, accepts Care Credit and offers their own dental plan to make good oral health affordable. Dr. Evans will work to bring your mouth back to optimal health, educate you on how to help maintain it and prevent further damage, and keep your routine dental check-ups part of a treatment plan that can fit your budget. Dr. Evans and team have worked together for many years. Having cared for families in Rainier and many surrounding cities including Longview, Kelso, Kalama, Castle Rock for may years now, our staff has developed trusting relationships with generations of families and look forward to building more. If you are looking to schedule your next appointment or want to introduce your young child to Dr. Evans, we invite you to contact our Rainer dental office or schedule an appointment online. 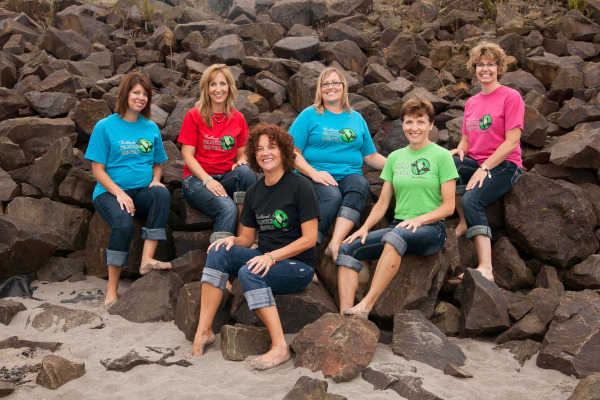 We are confident that Northwest Family Dental will become your trusted dental home. Your referral of others is appreciated and is one of the finest compliments you can give us. In fact, we would love to reward you for referring your friends, neighbors, co-workers, and relatives. Click below for more information! Rainier Dentists, Dr. Sara Evans has a multispecialty practice and focus on quality cosmetic dentistry, prosthodontic and implant dentistry. Using state-of-the-art dental techniques such as bleaching, porcelain laminate veneers, crown and bridgework, dental implants, and the latest dental products. Please come visit Rainier Dentists, Dr. Sara Evans.